I taught a children's jewellery design class yesterday and I enjoyed every minute of it. Their excitement and wonder as the designs started to take shape was indeed a beautiful thing to witness. 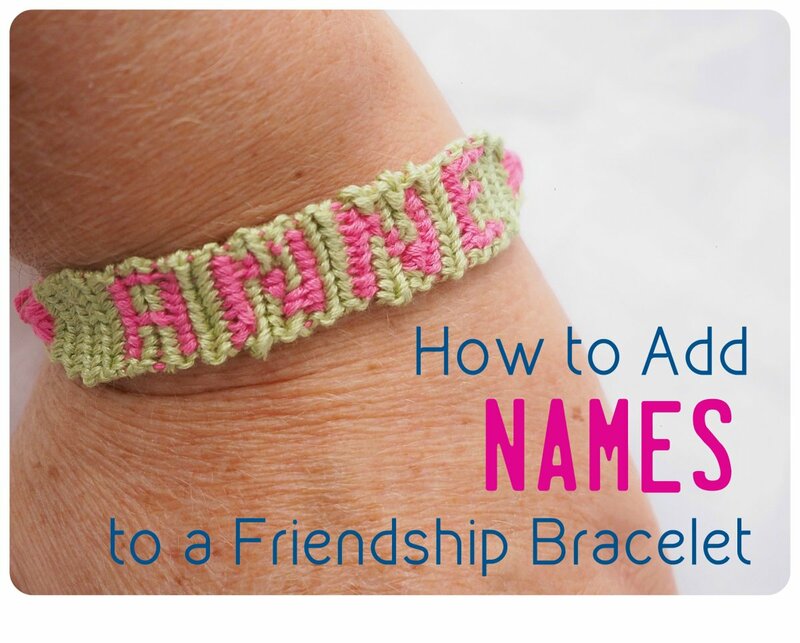 Their questions came at me at mach speed and I realized that writing an article about how to make these Friendship Bracelets would be far more civilised and calm. The Friendship Bracelet that I will be showing you is the simplest design: the straight line. And it really is as simple as tying knots. The great thing about this project is that it is inexpensive. Amazingly so, in fact. 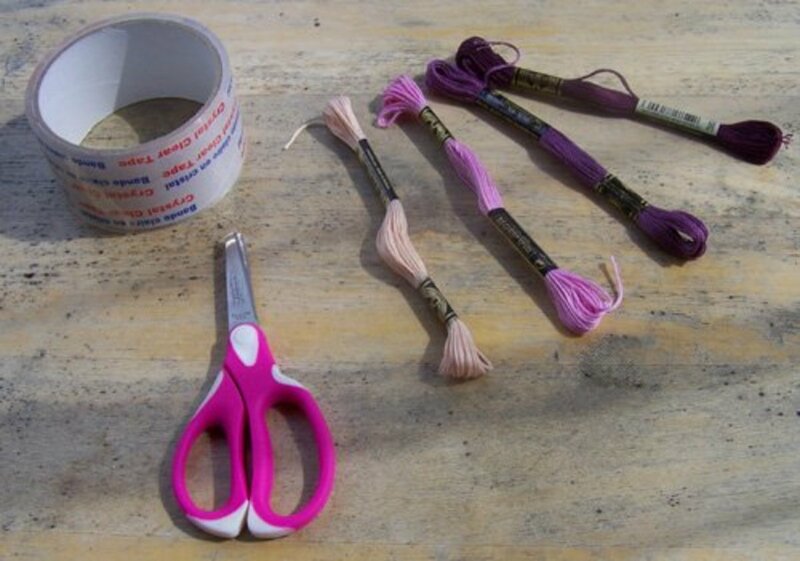 Most people already own scissors and tape, while the embroidery floss is only $0.49 a roll at Michaels. Cut approximately 60 inches of each of your four colors of embroidery floss, also known as embroidery thread. 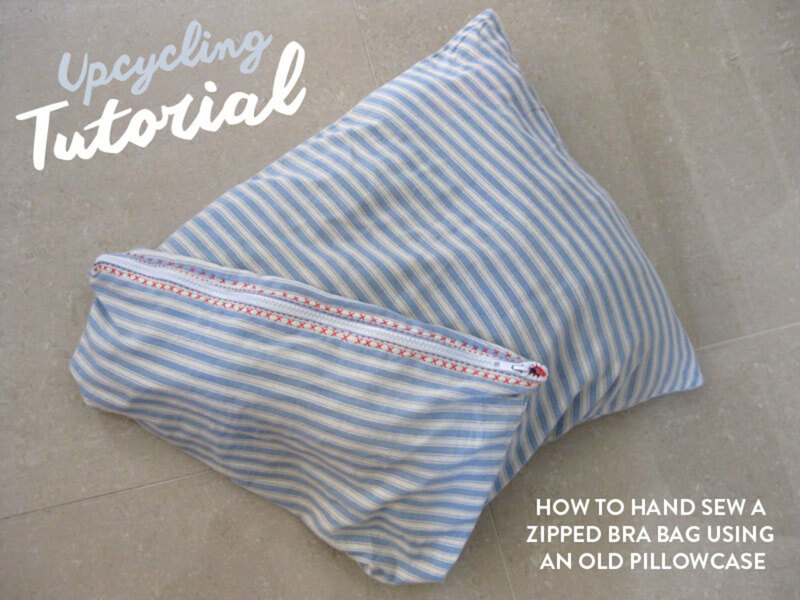 Fold the pieces in half, leaving you with a loop at one end. On the looped end of the thread, tie a knot. The hole should be big enough to hold a pencil. 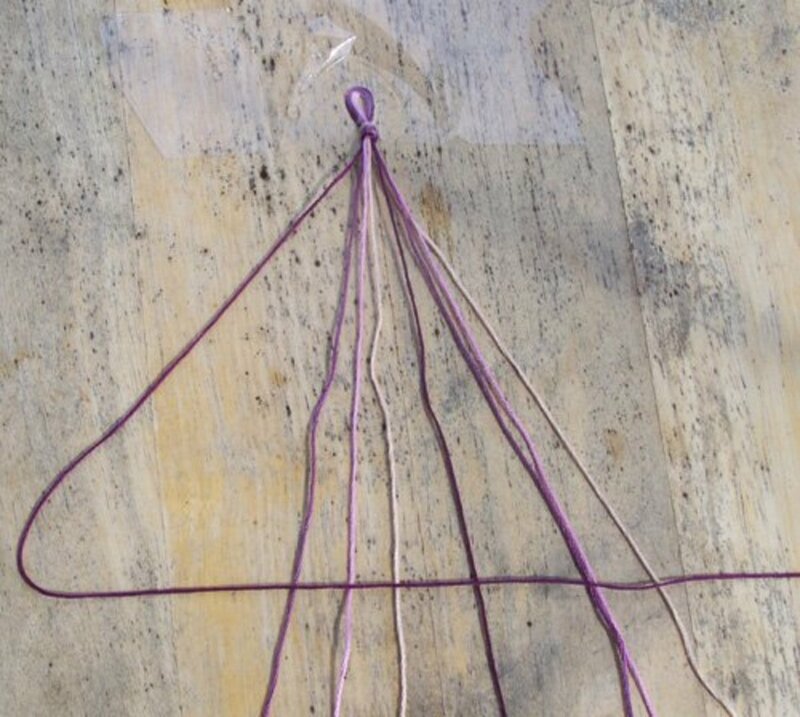 Tape your knot down to a table. Alternatively, a clipboard works well. Pinning the knot to your jeans with a safety pin is also very popular. Lay out your colors in an order that appeals to you. This will decide the color sequence of your rows. Imagine that the threads are numbered, 1 through 8. 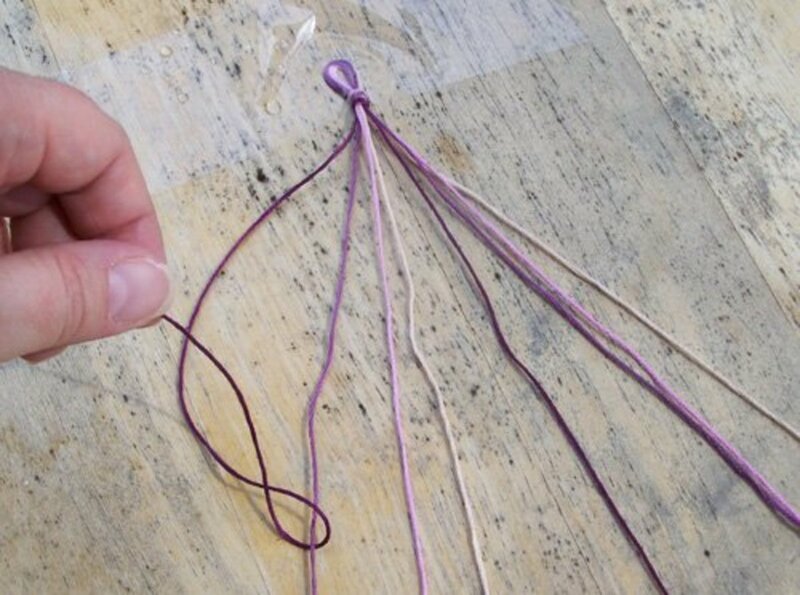 To start your first row, begin with Thread 1 and knot it onto Thread 2. To do this lay Thread 1 over Thread 2 to look like the number '4'. Holding Thread 2 firmly down with your right hand, loop Thread 1 under it and pull it up tightly against the top knot. 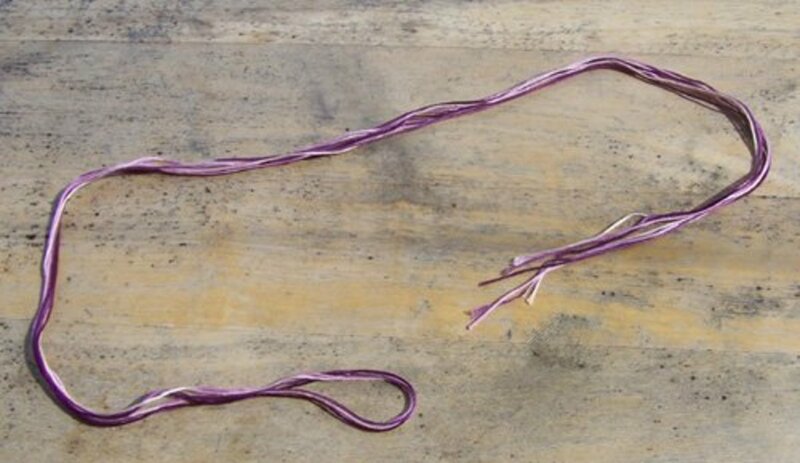 Do this twice to make a nice, firm knot. You have now knotted Thread 1 onto Thread 2. 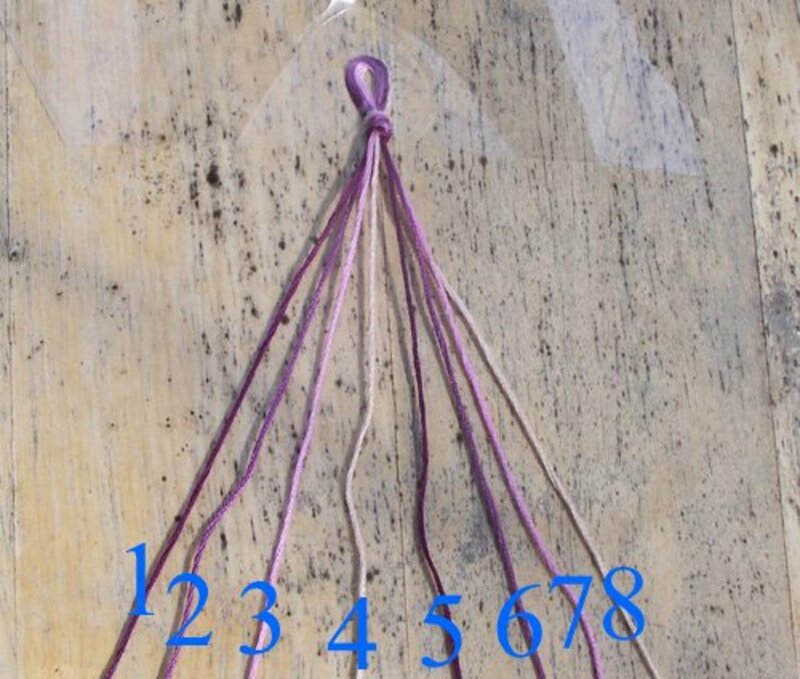 You will need to continue knotting Thread 1 across all the other Threads. Move Thread 2 off to the left and continue on to Thread 3. 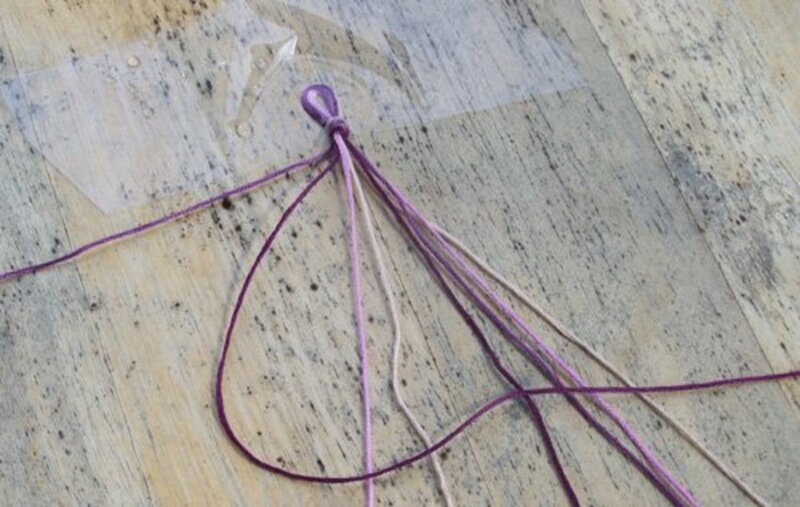 Use the same 'Make a 4' technique and tie Thread 1 onto Thread 3. Remember to knot it twice. Move Thread 3 off to the left and knot Thread 1 onto Thread 4. Move Thread 4 off to the left and knot Thread 1 onto Thread 5. Move Thread 5 off to the left and knot Thread 1 onto Thread 6. Move Thread 6 off to the left and knot Thread 1 onto Thread 7. Move Thread 7 off to the left and knot Thread 1 onto Thread 8. 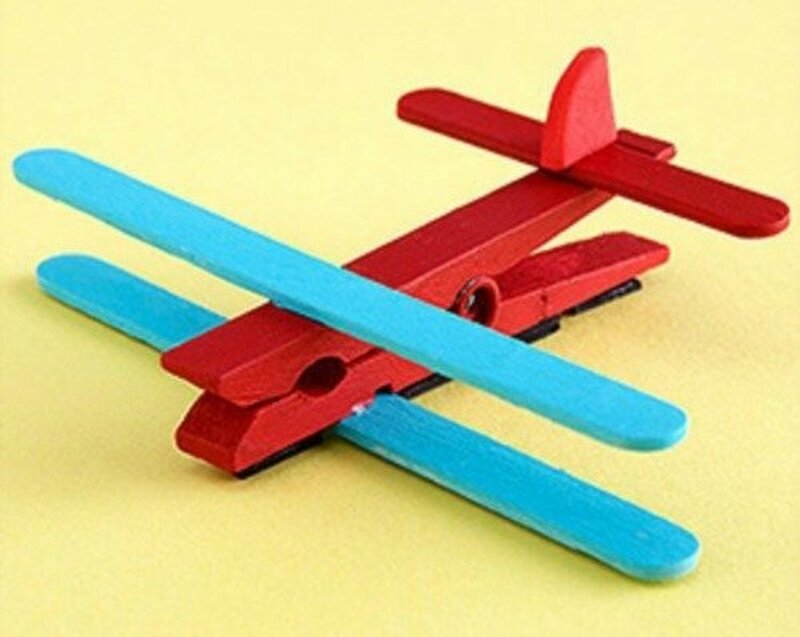 You have now completed your first row. As you'll see, it is made up of your Thread 1 color tied onto all your other threads individually. Starting your second row, you'll notice that Thread 1 now resides way over on the right and that you will be working on this row by knotting Thread 2 onto all your other row individually. So start by knotting Thread 2 into Thread 3. Move Thread 3 off to the left and then knot Thread 2 onto Thread 4. Move Thread 4 off to the left and then knot Thread 2 onto Thread 5. In the picture below, I have completed 7 rows. The rows are neatly defined and the threads order is easily discernible, making it simple to know which color is next. 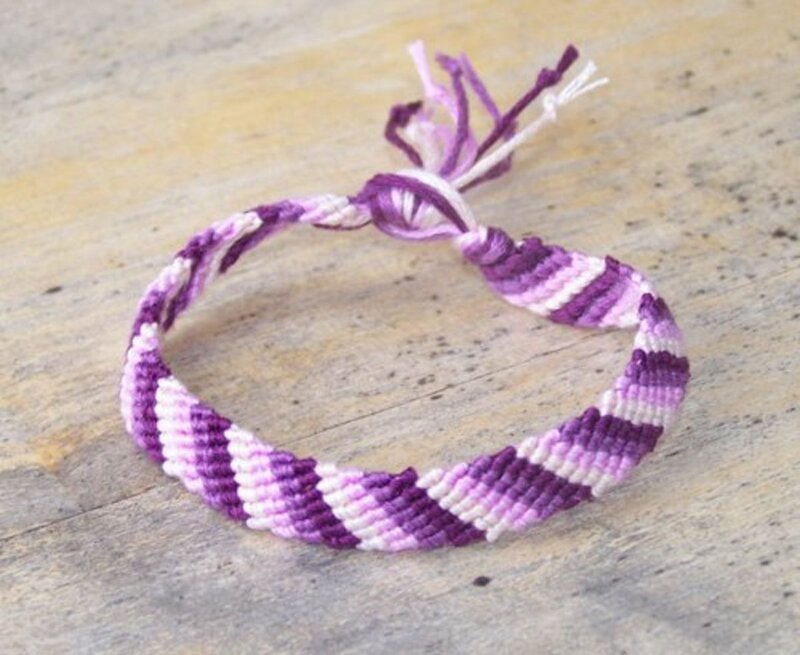 When the bracelet is long enough to fit your wrist, tie a knot using all the threads. 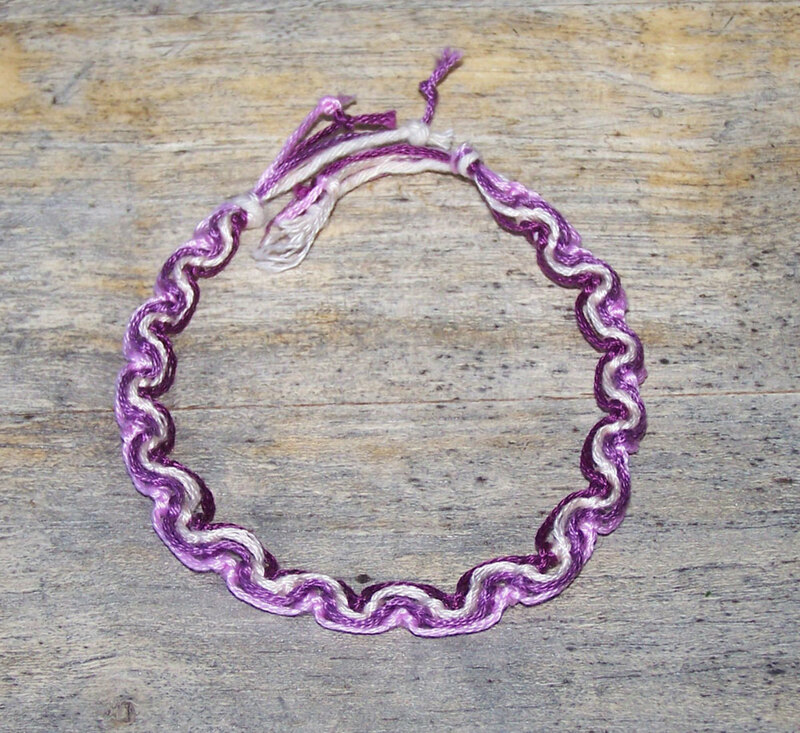 To close the bracelet once it is on your wrist, this knot can be slipped through the loop on the other end. 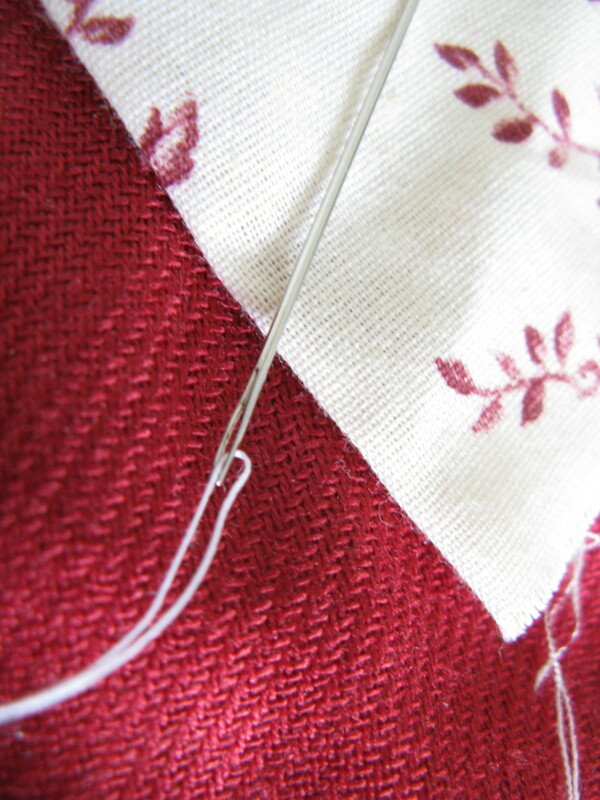 Before you trim the excess thread, check the size of the loop. If the loop is a bit big, simply tie 2 knots to make that end a little bigger too so that it stays on your wrist. As you'll see from the photos, I tied a small knot on each thread. That prevents it from fraying, but I think it also looks cute. Of course, you might choose to leave the ends as they are. Or maybe, intentionally fray them. No criticism implied - what do you do with the ends? I'm not sure what you mean by "the completed thread things are twisting". 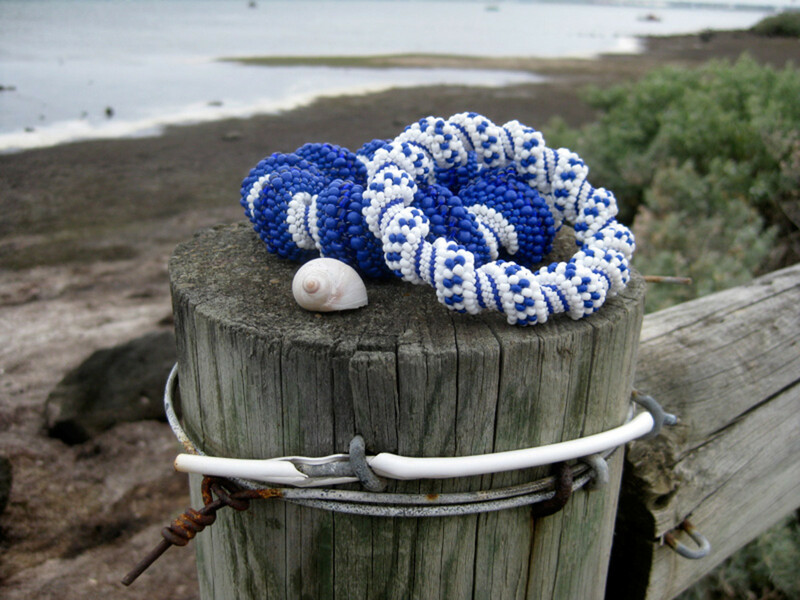 Is the bracelet twisting as you make it? If so, that's normal, and ironing it out with your hand usually does the trick. You might try looser knots. This bracelet is pretty enough that I want one for me! I'll be adding other hubs soon with instructions on variations on the pattern. 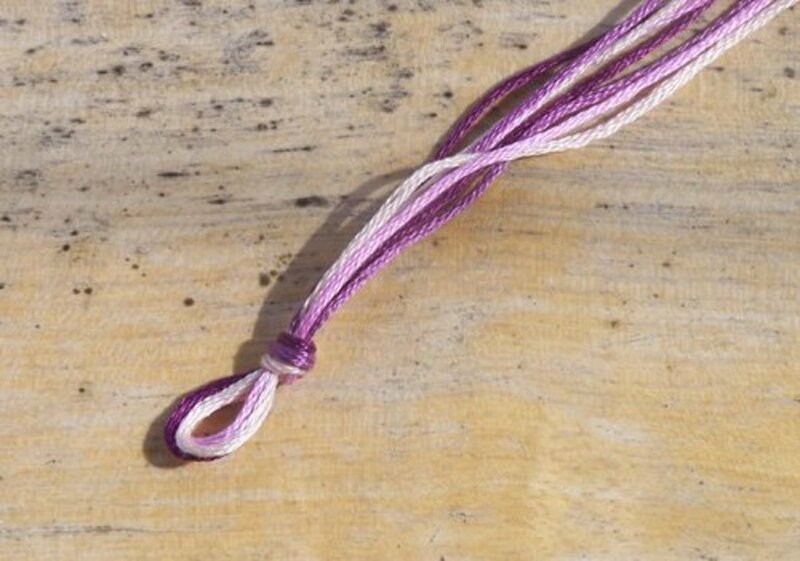 I have made friendship bracelets when I was younger but I don't remember how I did it then. This is a very useful and happy one for me to make. 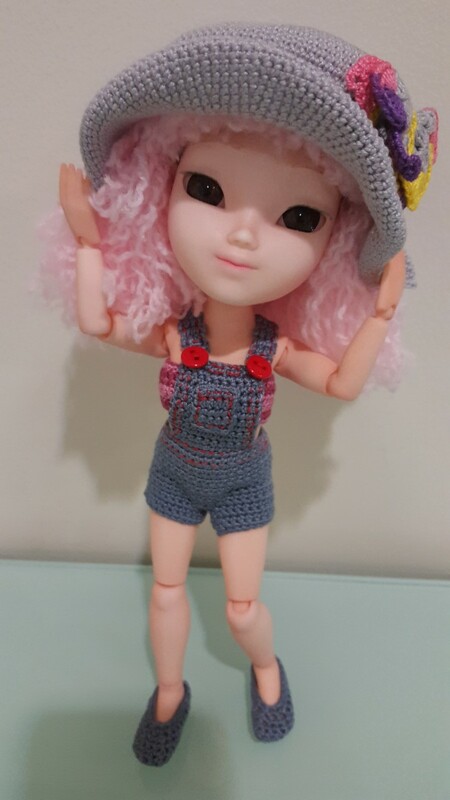 I was wondering what I could give my best friend. You really have put mcuhh effort into it. Enjoyed it a lot. Hope you'll visit me as well. Very well illustrated hub/tutorial - voted up. Yay indeed! Glad I could inspire! Yay! I'm going to try it right now! Not kidding. ;-) (digging in craft duffle bag / that's hidden away in back closet collecting dust) So happy to put it to use again. Thanks for the reminder. 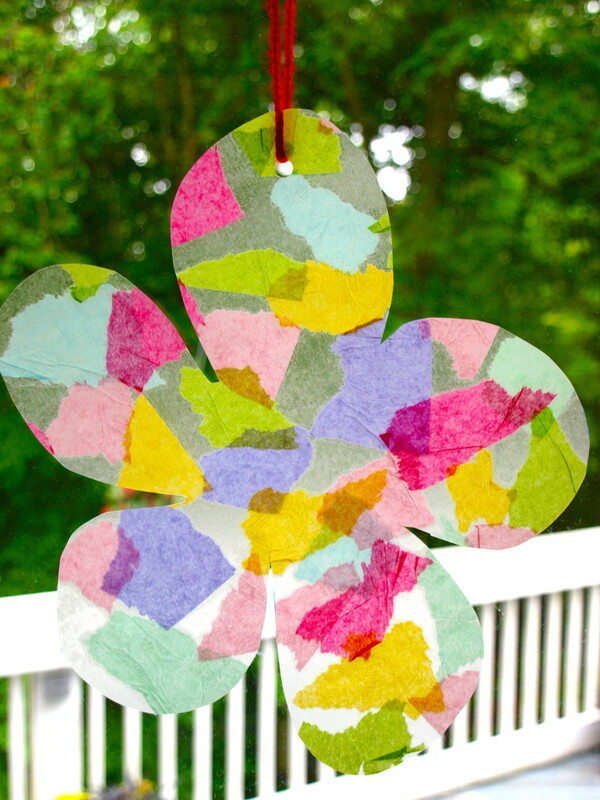 My granddaughters and I used to make these years ago. Will have to get back to them again. Very good instructions. 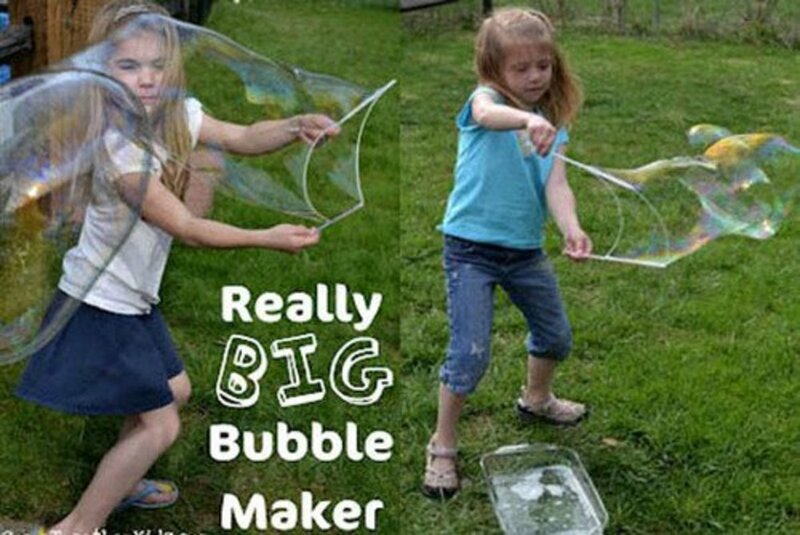 Nicely explained, with simple instructions and good pictures. Thanks for posting this.